Question: My air conditioner unit in my home runs just about constantly just to stay at 76 degrees. Do I need to add more freon? Or do I need to replace my AC unit before summer gets here? Help! My electricity bill was over $350 dollars last month in April! Answer 1 – It will depend on the temperature of inside your home and the outside air temperature and also how well your house is insulated. If you have vaulted ceilings and lots of big windows then this is something to consider. If there is cold air blowing from the vents then it may be doing all it can to keep it at 75 degrees. At times the AC Evaporator can get dirty from use. If this is dirty it will decrease the effectiveness of the AC unit temperature. You can try cleaning the evaporator coil with this cleaner here. Answer 2 – Throw the expensive restrictive return “pollen” home air filters away and put a cheap free flowing return filter on there instead. Those high dollar filters are for equipment protection and are very restrictive. The allergy catching filters are total gimmicks and are too restrictive for the normal A/C system. Or you can swap out your return grill to a huge size to make up for reduced airflow through the restrictive filters. Getting the cheap blue or green 99 cent filter is the cheapest way to improve your AC to not constantly run and to improve it’s effectiveness. Answer 3 – First of all… The word “freon” is a brand name for a refrigerant named R-22 (Refrigerant 22). Other types of air conditioning refrigerants are called R-134a, R-404A, R-407C, R-12 and R-410A. Also the actual refrigerant that is named Freon was banned years ago. To be able to work with R-22 yourself you need to be certified by the EPA. (If you want to know more about refrigerant info requirements from the EPA click here) Anyway, your unit is probably undercharged (not enough refrigerant) or overcharged (too much refrigerant). Usually an AC mechanic or tech company will come out and check the refrigerant with industrial gauges for about $30 dollars. Have them come out and check your A/C before you buy a new unit of course! 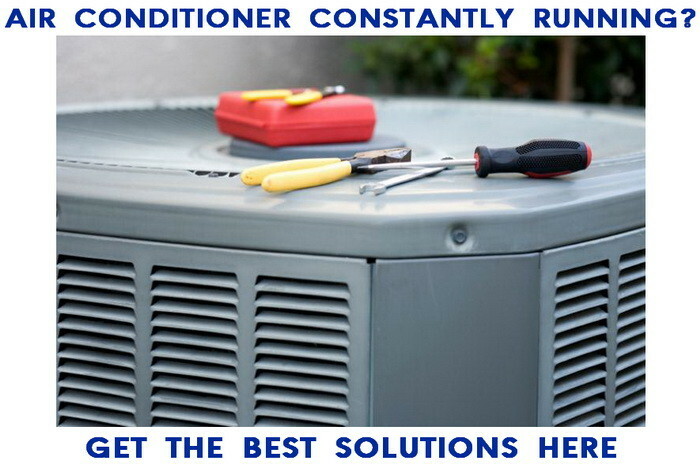 Answer 4 – A bigger air conditioner unit is not always better when it comes to HVAC equipment. The unit must be properly sized for the house it is going to be used on. There are many factors that go into a load calculation. Consider things like the number of windows in your home, the east and west sunshine exposure, and your homes insulation. If you do not get cold air out of the AC vents then you could have a refrigerant issue. 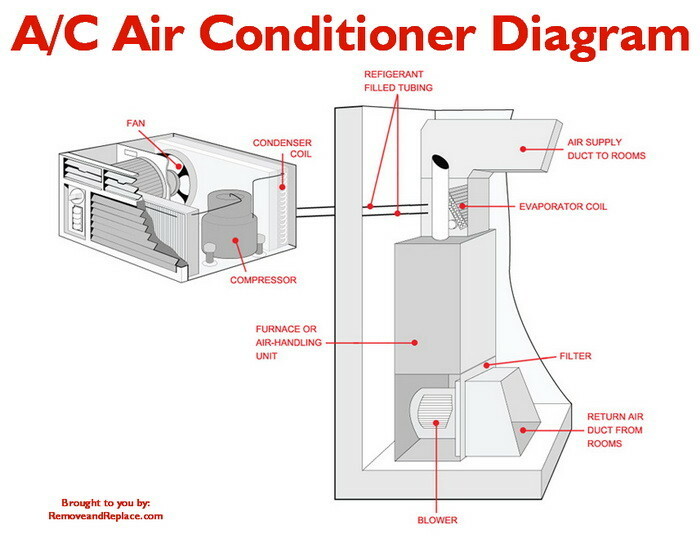 Most people cannot check this themselves so it is best if you call an Air Conditioning Technician. Have them come out and check your refrigerant to see if it needs to be filled. If you are a Groupon member there are usually great discounts on getting your AC checked to see if repairs are needed. You can also check your AC air filter to see if it is dirty and clogged. A dirty AC air filter prevents air flow from going across your indoor evaporator coil. 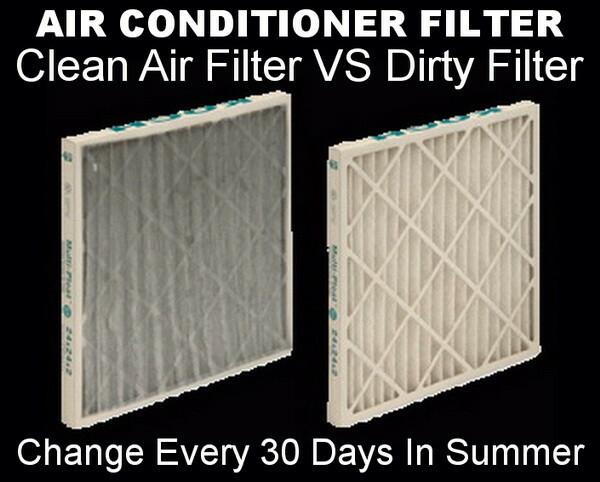 Remember to change your air filters every 30 days in the summer months. Answer 5 – If you have approx 17 degrees difference between the supply air (air going into the vent) and the cold air coming out of the vents then there is nothing wrong with the unit itself. It just means it is so hot outside that your unit cannot keep the temperature up. Check to make sure there are no windows open and that any sliding glass patio doors are not cracked open. Another thing to check is to make sure the sliding glass doors and windows in your house have a proper seal. Some seals on doors and windows will rip or come loose over time thus letting precious cold air escape outside. Answer 6 – Set the thermostat a few degrees higher (from 76 degrees to lets say 79 degrees), you will save energy and money. Answer 7 – If you know the basic workings of an A/C – Take the cover off the condenser and see if anything may be blocking the flow of air. Use a Shop-Vac and vacuum the inside of the condenser. Then spray it out with a water hose. Also you can try this…. If the blades of the fan are dirty or possibly slightly bent then straighten the blades out and clean them off. Why Freon will only last 4 months and then freeze ? My AC runs almost constantly, it’s June so it’s pretty hot out. The problem i noticed in particular is that the room temp by the thermostat barely comes down from 80 degrees F but the thermostat is set to 74 F to 75 F.
So it just runs and runs trying to come down, but never does. The filter is clean and the condenser coils are relatively clean. Why is the pan of central air conditioner is running all day? My a/c is running even though it sets at 76 inside and outside temp is about 62. Is that okay? If it is running periodically then this is normal as you may be cooking or similar and causing heat in the home. If the ac is running constantly then this would be an issue. You most likely need r22 or freon added into the system. When was the last time you had a tech check your levels? We have electric furnace with central air.The air is running constantly. Have to cut it off to give it a break. We live in a 16×80 mobile home and it did not do this before last year.The heat does fine.We had cool seal put on and the windows caulked.What now? My outside unit runs constantly. It never goes off even when the inside unit is off. It all depends on what you have the thermostat set at and what the temperature is like outside.